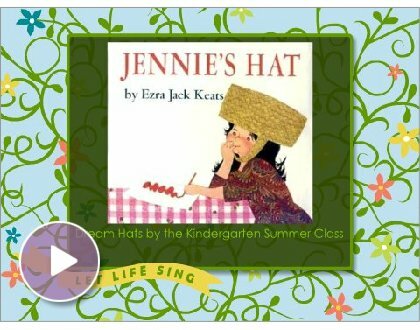 Jennie's Hat by Ezra Jack Keats is about a little girl named Jennie, whose favorite aunt was sending her a hat. Jennie was sure it would be beautiful with big colorful flowers.When the box arrives, the hat is very plain. However, she receives a surprise from some special bird friends who decorate it for her. After listening to the fanciful story, the children had the opportunity to decorate a dream hat of their own. Everyone was so excited to show off their hats!! The children continued to listen to other books written by Ezra Jack Keats including: Whistle for Willie, Apt. 3, Hi Cat, and Peter's Chair. They could compare themselves to the main characters and their problems as they face these challenges in their everyday life too.